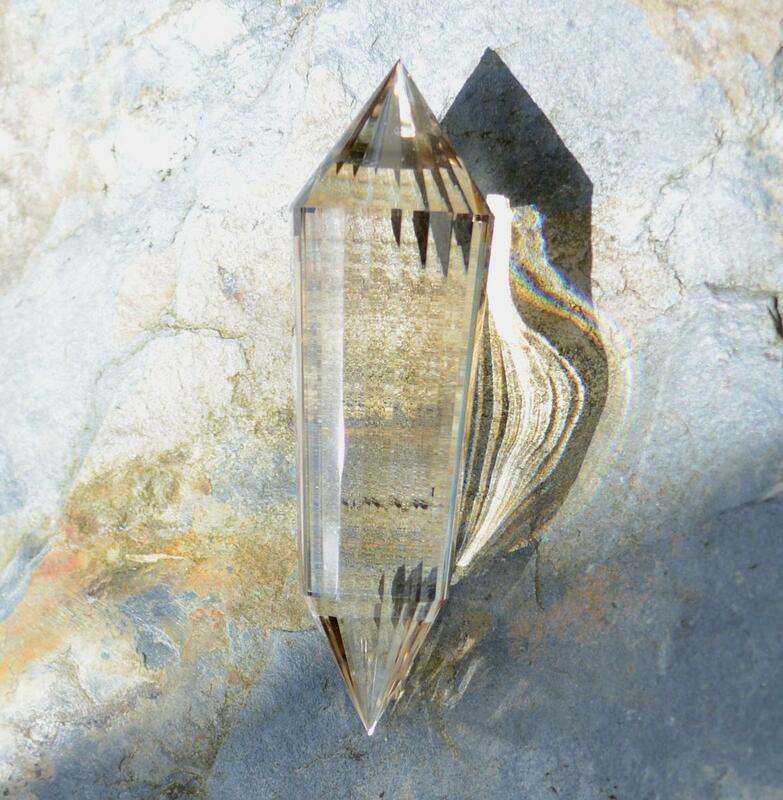 Vogel Wand in ethically mined Himalayan Smokey Quartz. 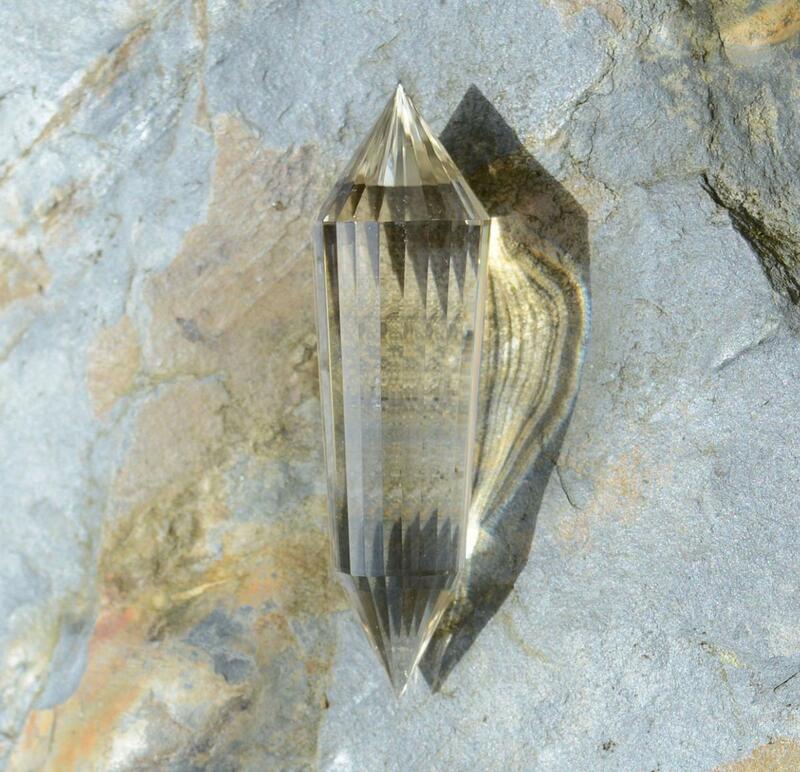 This precisely faceted, 24 sided Vogel has been carefully crafted from a water clear, amazingly bright, perfect Himalayan Natural Smokey Quartz crystal. 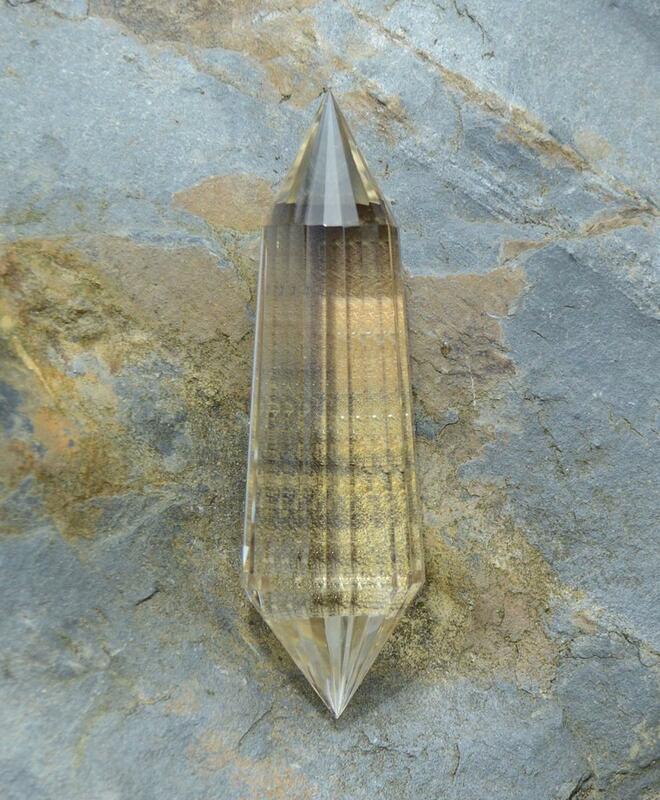 The slant of the wider end of this Vogel is 1: 1.618 and expanded symmetrically around all 24 sides to further amplify its resonance with this most sacred of geometries. The significance of the Golden Ratio manifest throughout creation, from a flower to a galaxy, cannot be overstated. 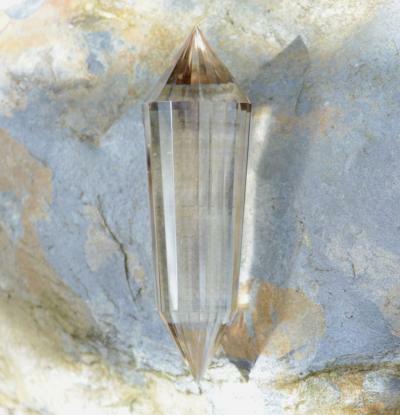 The height of the Great Pyramid is the square root of the Golden Proportion (phi, Ф).